Top Reads Publishing, LLC, 9780996486019, 344pp. This relationship resulted in the great lion of industry having his last public roar as together they manipulated the financial markets and created the impending collapse of the U.S. economy in the gold scandal of 1869. To avert the crash, President Ulysses S. Grant provides the richest man in America insider information on the gold market and telegrams Vanderbilt that his railroad company is "Too Big To Fail " Vanderbilt was proclaimed "The Savior of the American Economy" for intervening in a crisis he helped create. 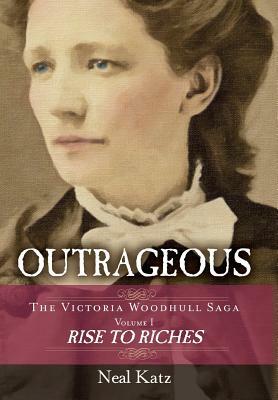 View Victorian America through the eyes and thoughts of one of its leading heroines, Victoria Woodhull. Watch as the infighting and elitism of the earliest suffrage women denigrating, castigating, and denouncing other passionate suffrage rights women delayed woman suffrage and equal legal standing for five decades. Learn wonderful anecdotes of the origins of products and phrases used today. Learn the story of Reverend Henry Ward Beecher, the most popular man in America, who transformed Christianity from his father's fire and brimstone theology to one of a compassionate and loving Jesus, who will redeem all who turn to salvation with complete confession of their sins. The reverend's personal life did not imitate his lofty and popular theology of his weekly sermons at Plymouth Church. He was a notorious womanizer, often bedding, and sometimes impregnating the wives, sisters, and daughters of his most ardent trackers and deacons of the church.